Stud Boy Power Point +Plus Studs-96 Pack | Goodwin Performance, Inc. – Snowmobiles, Snowcross, High Performance Clutches, Suspension, Service, and More! SKU: pp-8. Categories: Studs, Traction Products. 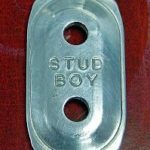 STUD BOY® announces our new Power Point +PLUS Stud. This new Power Point Carbide Push-Through Stud is designed for new Ski-Doo XP sleds, as well as the new Camoplast Single Ply Tracks. 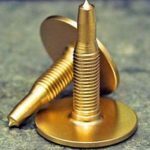 It features 60º carbide tip for aggressive penetration, and chamfered head design to reduce vibration and idler wheel wear. Available in 1.080, 1.187, 1.375, 1.500 and 1.625 lengths. 1.375 and longer studs include Power Tower Support nuts.